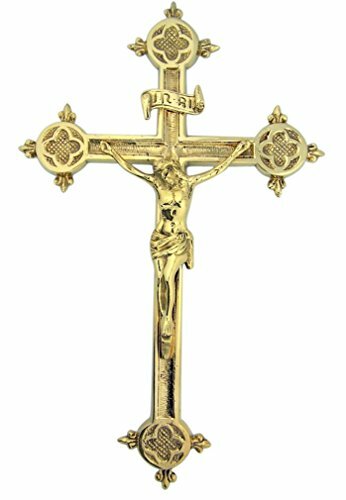 This beautiful St. Benedict crucifix makes a great addition to any room! 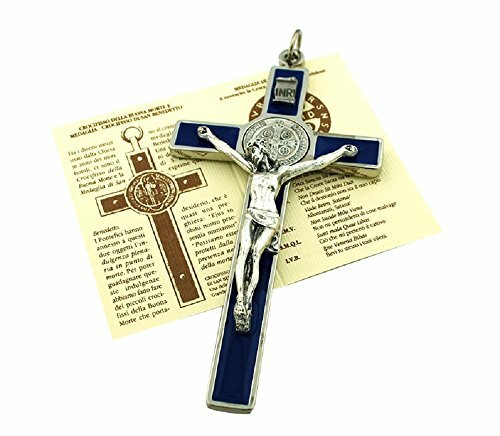 The perfect size for hanging above a door, this St. Benedict crucifix features colored enamel in Blue, Red, and Glow-in-the-Dark. 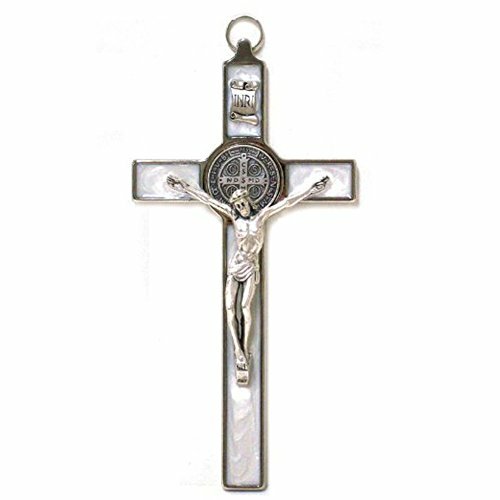 Crucifix features a St. Benedict medal in the center, and comes with a handy booklet explaining the St. Benedict medal. Made in Italy. 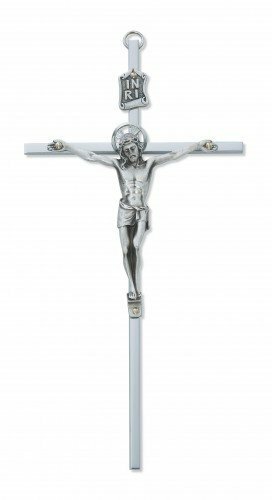 This beautiful wall cross is the perfect gift for First Communion or Confirmation! 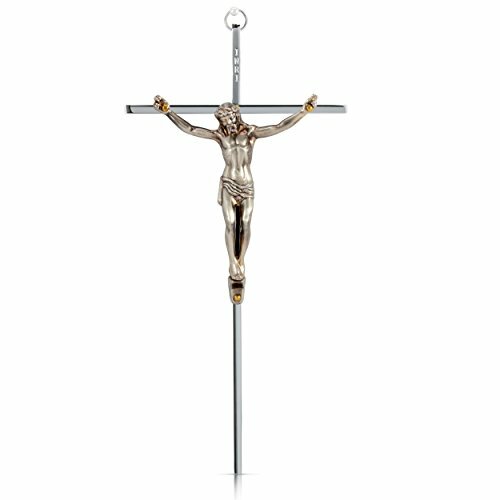 Features gorgeous hammered silver-tone finish, and measures 8" x 4". Comes in box, made in Italy. 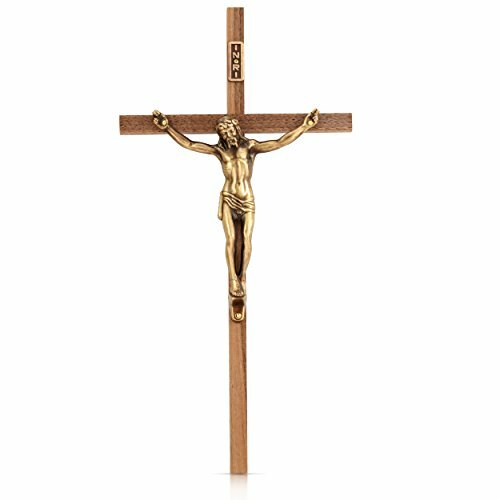 Leolana® Handmade Wall Crosses This wooden handmade wall cross is approximately 8.5" inch-21.6.cm tall The Cross has brass hanging accessory attached to the back, making it a perfect decor for the wall of any room.Each decorative handmade wall cross is 100% unique so there might be some slight difference in size and color. 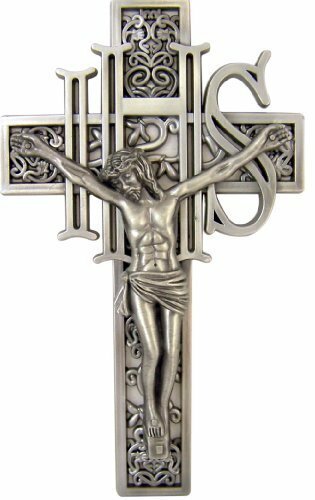 Each handmade cross is unique since it is almost impossible to have two identical crosses.Pāua Shells (Pāua) is the name given to three species of large edible sea snails, marine gastropod molluscs which belong to the family Haliotidae (in which there is only one genus, Haliotis), known in the United States and Australia as abalone, and in the United Kingdom as ormer shells.Mother of PearlNacre also known as mother of pearl, is an organic-inorganic composite material produced by some molluscs as an inner shell layer,it also makes up the outer coating of pearls. 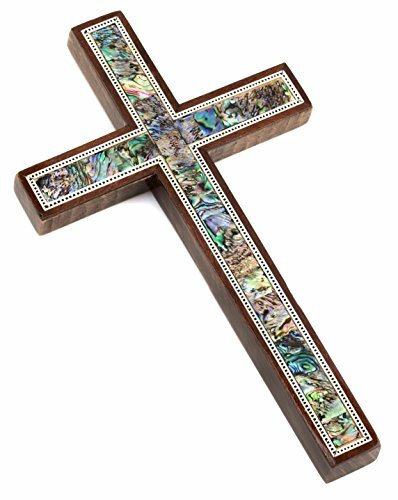 It is strong, resilient, and iridescent.Note: MOTHER OF PEARL AND PAUA SHELL(ABALONE) PIECES ARE FROM NATURE AND ARE CUT INTO SMALL PIECES AND INLAID BY HAND AND THEN LACQUERED.